Although hormone therapy using estrogens plus progestogens (EPT) is effective for the management of menopausal symptoms (e.g., vasomotor symptoms and vulvar/vaginal atrophy) and prevention/treatment of postmenopausal osteoporosis, EPT is associated with safety and tolerability concerns. A new alternative to EPT is the tissue selective estrogen complex (TSEC), which partners a selective estrogen receptor modulator (SERM) with one or more estrogens and is designed to treat menopausal symptoms and prevent postmenopausal osteoporosis without the tolerability concerns associated with EPT. The first TSEC to reach advanced clinical development is a combination of the SERM bazedoxifene (BZA) with conjugated estrogens (CE). BZA has been shown to inhibit the stimulatory activity of CE on uterine tissue and breast in vitro and in vivo. In clinical studies, BZA/CE treatment has been associated with significant improvements in menopausal symptoms including hot flushes and vulvar/vaginal atrophy and significant increases in bone mineral density, coupled with reductions in bone turnover marker levels and improvements in sleep and health-related quality of life. Additionally, BZA/CE has been shown to have a neutral effect on endometrial and breast tissue because BZA inhibits the stimulatory effects of estrogens in selective tissue fashion in these two organs. Taken together, results of these preclinical and clinical studies indicate that the benefits of estrogens for treating menopausal symptoms are maintained with BZA/CE without endometrial or breast stimulation, resulting in a safe and effective treatment for symptomatic postmenopausal women. The management of osteoporotic pertrochanteric fracture femur is 2-fold. 1. 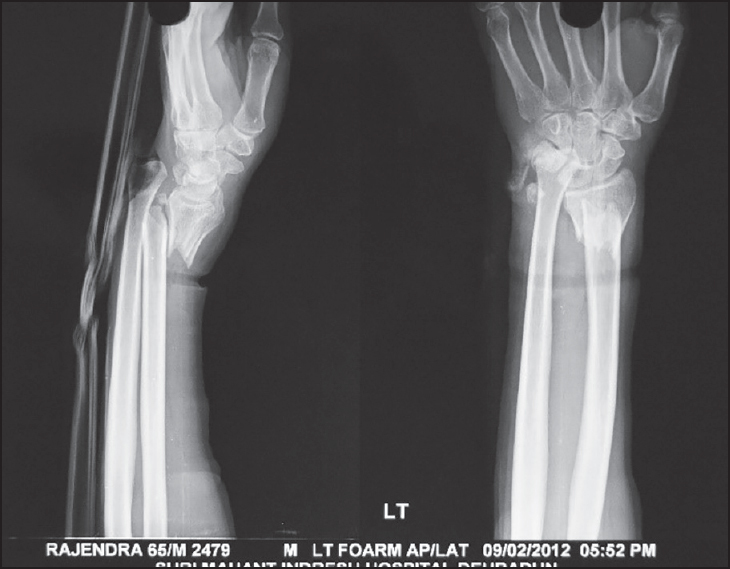 Management and care of acute fractures and 2. simultaneous treatment of underlying disease. There is hardly any role of conservative treatment, however, patients with co-morbid conditions temporary treatment with traction till patient are fit for surgery may be performed. Surgical treatment of pertrochanteric fracture should be undertaken as early as possible. 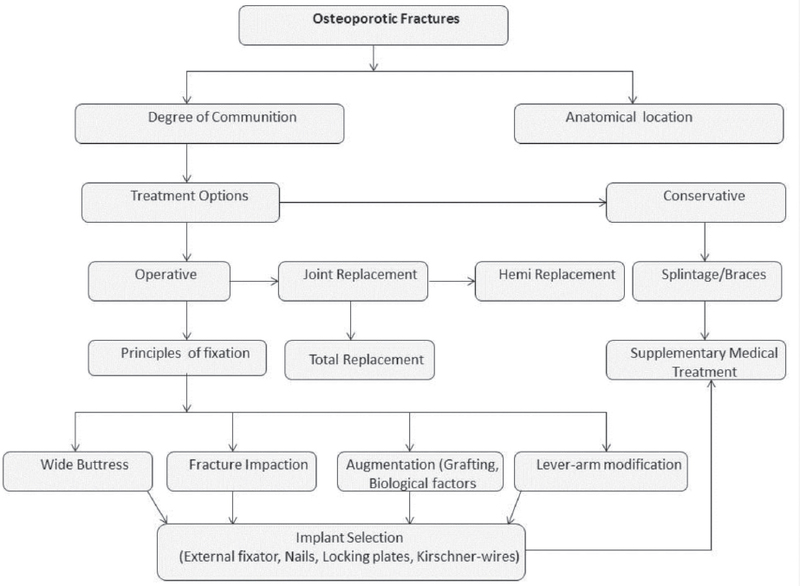 Following principles of "Internal Fixation in Osteoporotic Fractures" must be carried out depending upon the type of fracture. 1. Loadsharing 2. Impaction 3. Widebuttressing 4. Longsplintage 5. Augmentation 6. Elasticfixation 7. Shortening 8. Bonesubstitution-prosthesis. Timely surgery in these patients prevents not only morbidity but mortality also. Fragility fractures of the distal radius are common injuries. As the population ages there is an up rise in the incidence of these fractures. Various treatment options are present each with their peculiar advantages and difficulties. Also often perplexing is which option to be exercised. Volar plating allows anatomical reduction and maintenance of most extra-articular and intra-articular fractures. Menopause refers to the cessation of menstruation. Menopause brings about a deficiency of estrogen and a period of bone loss that extends till the end of life and is responsible for development of osteoporotic fractures in women. Prevention of vertebral fractures, non-vertebral fractures and hip fractures in post-menopausal women can be effectively done by Hormone Replacement Therapy (HRT) as it prevents bone loss following menopause and can delay development of osteoporosis as seen on DEXA scan. HRT use however is associated with the risk of cardiovascular disease, dementia, genito-urinary problems, breast, endometrial and ovarian cancer and the risk of venous thromboembolism. However in selected postmenopausal women with early menopause or with postmenopausal symptoms short-term use of HRT/Raloxifene/Tibolone is currently permitted to alleviate symptoms. At present, osteoporotic fractures are the functional as well as an economic challenge for the patient, and these are equally challenging for the surgeon to manage them. However, nowadays most of the clinical settings are biologically optimized to enhance the bone regenerations, but still many patients continue to experience impaired healing of various origins. Autologous bone grafting remains the standard biological procedure to treat these impaired healing against which all the novel technologies are compared. The osteoporotic fracture healing undergoes the same stages of healing except that, they are slow in progress and takes a longer period of healing than the normal bone healing. As the fracture healing initiates with the formation of fracture clot, several investigators have suggested that degranulation of platelets at fracture clot elaborates the bioactive component, especially the growth factors that are essential for the bone formation. Because autologous platelet-rich plasma (PRP) products are safe and easy to prepare and administer, in the present review, we highlight the role of bioactive component released by activated PRP in the fracture healing process complicated by osteoporosis. Clawing, partial or total due to leprosy affects greatly, hand's ability for fine movements, grip and skilful use along with loss of tactile sensation of hand, which usually precedes the motor weakness. We reviewed and evaluated the functional results of Modified Bunnel's procedure in management of 20 patient of leprosy with 28 claw hand deformity. After mean followup of 18 months (range 12-38 months) results were excellent in 10 (35%) cases, good in 12 (42.8%), fair in 4 (14.2%) and poor in 2 (7.1%). 97% of the patients (27/28) had improvement in the grip except one case (3%). 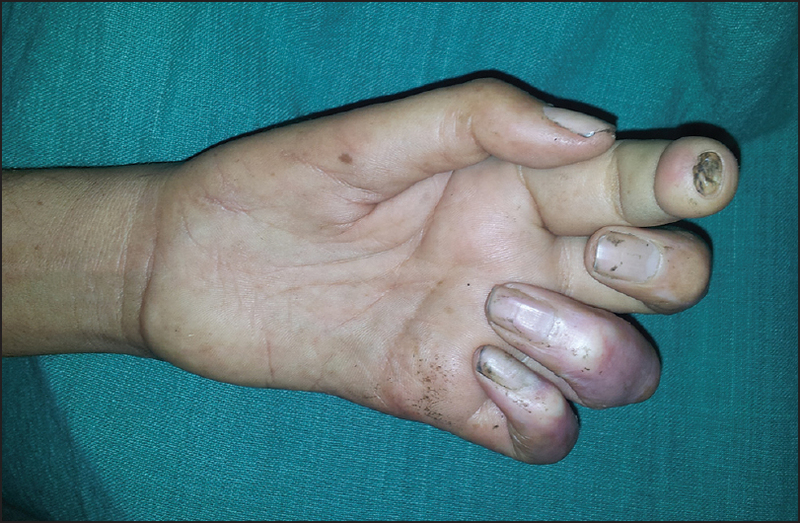 Swan-neck deformity, flexion contracture, check-rein deformity and insufficient finger flexion was seen in none of the cases whereas superficial minus deformity of ring finger was seen in only 1 case. Modified Bunnel's procedure is simple to perform and gives superior results as it gives least possible adhesions, provides straight course for the tendon and good leverage with normal angle, with better cosmetic results and patient satisfaction. Background: The latissimusdorsi muscle or myocutaneous flap is one of the most reliable and versatile flaps used in reconstructive surgery. It is known for its use in chest wall and post mastectomy reconstruction and has also been used effectively for coverage of large soft tissue defects in the head and neck and upper limb either as a pedicled flap or as a free flap. It has been described for reconstruction of hand and foot defects as microvascular flap and functional reconstruction of elbow in brachial plexus injuries. Aim: Evaluate its role in reconstruction of arm defects. Patient and Methods: Twenty three cases of pedicled Latissimus dorsi flaps for arm defects are enrolled into the study. The cause of the defect, the site and size of the defect, associated injuries and timing of flap cover are also noted. Observaion and Result: Out of 23 cases majority of defects are from trauma (19 cases) and rest from neoplastic resection (4 cases) all belonging to the age group of 15-45 years with defect size ranging from 10 × 15 cm 2 to 15 × 25 cm 2 . The average duration of follow up was 6 months to 1 year. All the flaps survived without partial loss. Six patients developed seroma at flap donor site which settled with multiple aspirations. Two patient developed hyper trophy at the borders at the donor site scar. Three patients had stretching of the scar. There were no other donor site complications at the flap or skin graft sites. All patients have cosmetically satisfactory result. Conclusion: Pedicled Latissimus dorsi muscle and musculocutaneous flap with a split thickness skin graft is the primary choice for reconstruction of large complex arm defects. Neglected fracture neck of femur is a challenging condition to treat. Preservation of the head of femur is desirable in young patients. Various options include osteosynthesis, osteotomy combined with or without vascular or non-vascular bone grafting. We have done a prospective case series on neglected fracture neck of femur in young adults treated by osteosynthesis with nonvascularized fibula grafting.This study included traumatic fracture neck of the femur delayed more than 3 weeks in young adults 15-60-year-old . We achieved a satisfactory outcome with HHS of more than 70 in 81.25% of our patients. There was a nonunion rate of 6.25% and AVN rate of 12.5%. This study shows that nonvascular fibula grafting is a viable option for the treatment of neglected fracture neck of femur in young patients. It is technically less demanding with results comparable to other more complicated procedures. Introduction: Exposure of articular fragments is a key factor to achieve accurate anatomical reduction in distal humeral fractures. 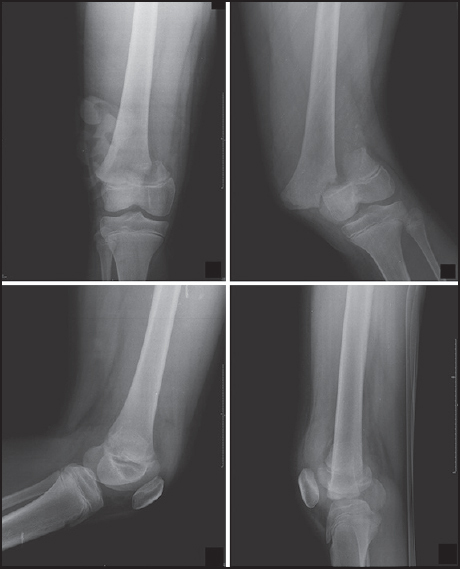 Olecranon osteotomy is considered as gold standard for these fractures. Von Gorder's approach allows exposure of articular surface by forming an inverted V-shaped flap of distal tricep in the distal humeral fracture. We evaluated the functional outcome in the management of distal humeral fractures treated by open reduction and internal fixation by Von Gorder's approach. Method and Material: Total 22 patients with AO Type C distal humeral fracture were taken, C1 include 11, C2 includes 5 and rest 6 were C3 type. 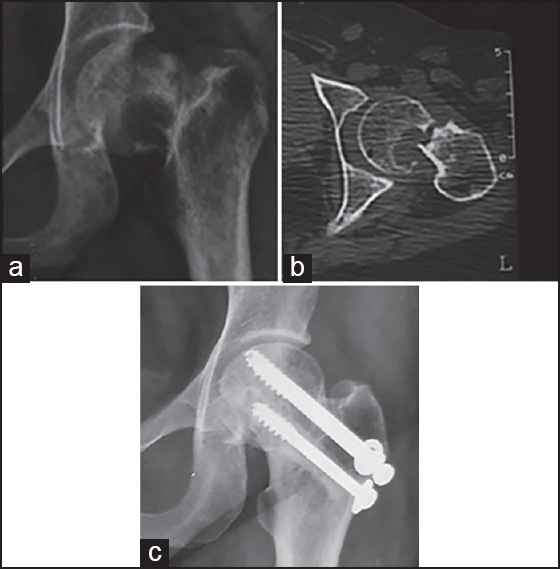 All patients were managed by open reduction and internal fixation through Von Gorder approach. Out of 22 bicolumnar fracture,19 were by recon plate and dynamic compression plate while 3 fractures were fixed by pre-contoured locking plates. Cases were followed up clinically as well as radiologically. Functional outcomes of patient were accessed in terms of Mayo Elbow Performance score (MEPS). Results: All patients had shown radiological union at an average 12.4 weeks, 17 (77%) patients had shown good to excellent score, 4 patients (18%) had fair outcome while 1 (4%) had poor outcome Mean MEPS score at final recent follow-up was 87. No patient had loss of rotatory motion although 86% patients had loss of terminal range of flexion/extension as compared to the normal side but their functional range of movement was good. The range of flexion was 123.0° (range 90°-135°), range of extension was 7° (range 0°-13°). Conclusion: Tricep Reflecting approach can be used in management of most of the distal humeral fractures as it provides adequate visualization and reduction however fractures having communition of trochlea and fractures involving anterior capitellum should not be attempt with this approach. Background: Carpal tunnel syndrome (CTS) is the most common peripheral compressive neuropathy, involving median nerve at the wrist. Traditionally, three different surgical techniques have been described open or standard, minimal invasive or limited open, and endoscopic surgeries. However, the results of each method are conflicting. The goal of our study was to assess the clinical outcome including complication rates following limited open carpal tunnel release. 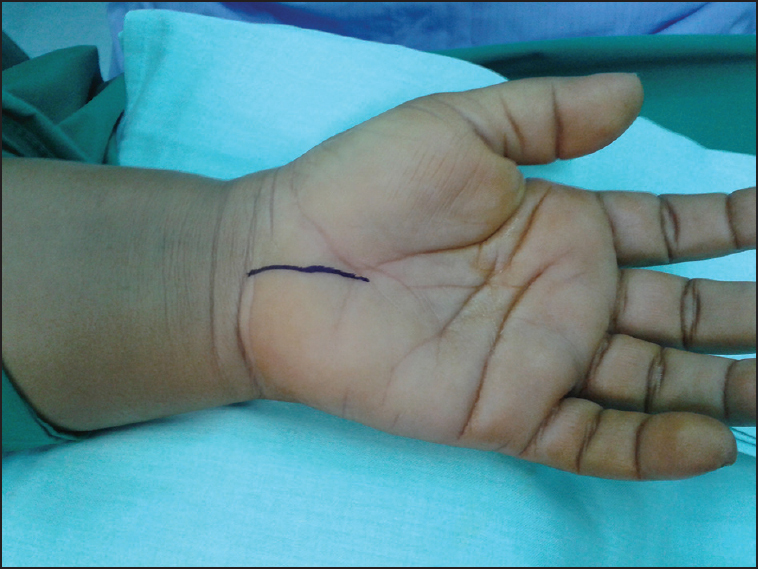 Patients and Methods: The study included patients with idiopathic CTS undergoing limited open carpal tunnel release surgery. The Boston Carpal Tunnel questionnaire was used to assess the symptom severity and functional status pre and post surgical interventions. Results: Twenty two patients (27 hands) underwent limited open carpal tunnel release, and all patients completed the questionnaire. The mean age of patients was 44.9 years with a mean duration of follow-up was 16.2 months. The average surgical wound length (scar length) was 2.7 cm. The median time to return to work was 14 days (range: 7-31). There was a significant improvement in pre to post operative symptom severity score (SSS) and functional status score (FSS). The statistical correlation was significant between pre and post operative SSS and FSS scores. 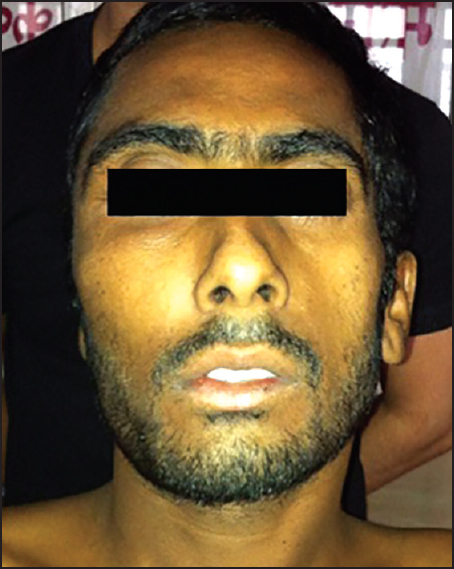 One patient had a superficial infection which was treated conservatively. No patient had pillar pain, scar tenderness, and nerve injuries. Conclusion: The limited open carpal tunnel release surgery is the simple, safe, and effective mode of treatment. We present a 10-year-old girl with a painful flat foot which surgery revealed an abnormally large abductor hallucis occupying medial longitudinal arch suspected to be the cause. Excision of the muscle relieved pain and discomfort. Nonunion of fracture neck of femur is still a formidable surgical challenge. We hereby report a case of 23-year-old male who presented to us 6 years after trauma with a fracture neck of the femur with 7 cm shortening. In view of his young age, we treated the patient by a combination of valgus osteotomy, rigid internal fixation with angle blade plate, and fibular bone grafting after putting the patient on heavy skeletal traction to achieve the length. At 27 months follow-up, there was a bony union at the fracture site, osteotomy site and a good functional outcome. 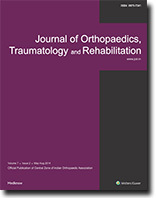 Though this technique of valgus osteotomy and bone grafting was proposed long back, there are very few studies which assess its usefulness in fracture nonunion of the neck of the femur. Two part lesser tuberosity fracture of proximal humerus, a rare entity is usually associated with posterior dislocation of shoulder. Its rarity accounts for the misdiagnosis and consequent inappropriate management. Very few case reports are available in literature about this entity. 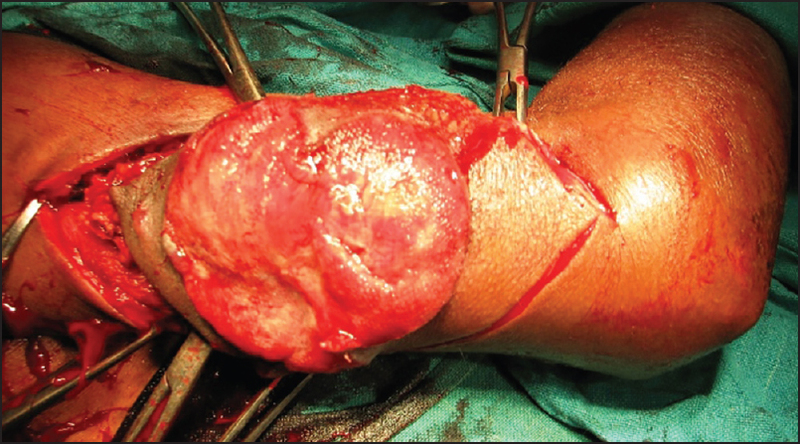 Herein, we present a young male with isolated lesser tuberosity avulsion associated with long head of biceps tendon rupture with an emphasis on diagnostic tools and appropriate management. Amputations due to animal bites in neonates are rare. 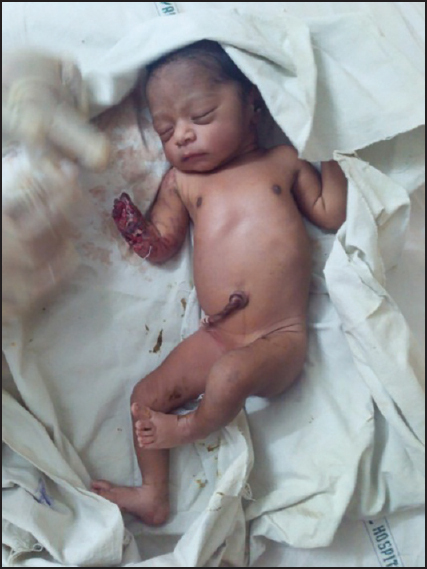 In this report, we present a case of a female neonate with below elbow amputation of right upper limb due a dog bite treated initially with adequate debridement of the wound, followed by intravenous antibiotic therapy and regular dressings. Neglect and female gender bias in the Indian subcontinent, especially in rural areas, are a few points we have also discussed in this case. McCune Albright syndrome (MAS) is a rare disorder comprising any two of polyostotic fibrous dysplasia (PFD), café-au-lait macules and endocrine abnormalities. We present the case of a 25-year-old male who suffered a pathologic fracture of his right femur and on evaluation was found to have MAS. Interestingly, he did not have any endocrine abnormality, but only extensive PFD and café-au-lait spots, which are uncommon. Furthermore, worth noting was that he has suffered pathologic fractures before too and was hospitalized on three occasions, but never diagnosed so far. We also present a brief review of literature regarding this rare syndrome and the spectrum of its manifestations. Desmoid tumors are benign neoplasms of fibroblasts characterized by local invasiveness. They often recur after surgical resection. They constitute about 3.5% of all fibrous tissue tumors and 0.03% of all neoplasms. 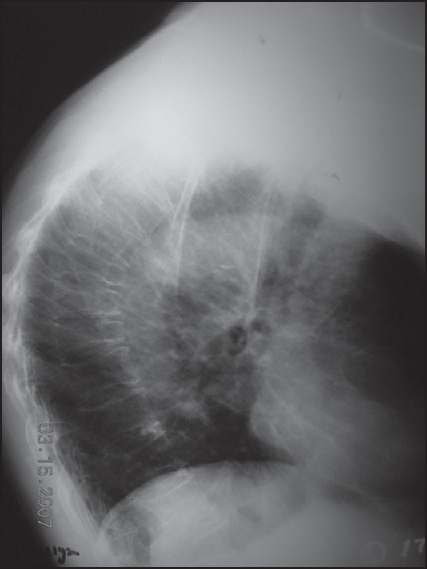 Paraspinal desmoid tumors are rare and only few cases have been reported in the literature. 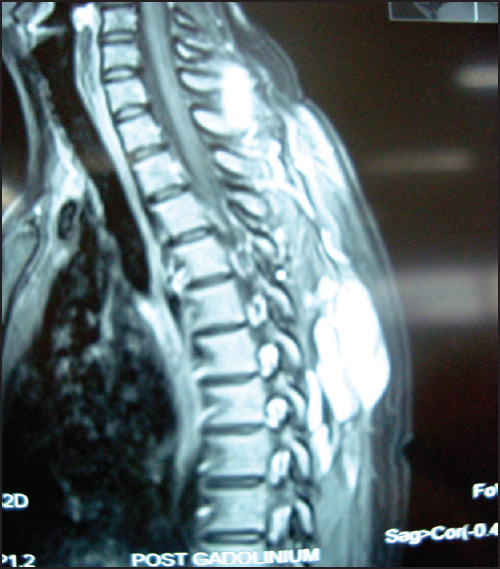 We present an 18-year-old female presenting with a paraspinal mass. Patient had a history of trauma at the same site one year back. FNA (Fine needle aspiration) was done and a diagnosis of benign fibroblastic lesion was made which was later confirmed on histopathology. We present this case on account of its rarity and its importance in the differential diagnosis of post traumatic paraspinal masses. Growth plate fractures represent about 18-30% of the total amount of fractures in a pediatric age. From these, about 2% to 7% happens in the distal growth plate of the femur, with Salter-Harris type II fractures, observed in about half of the cases. 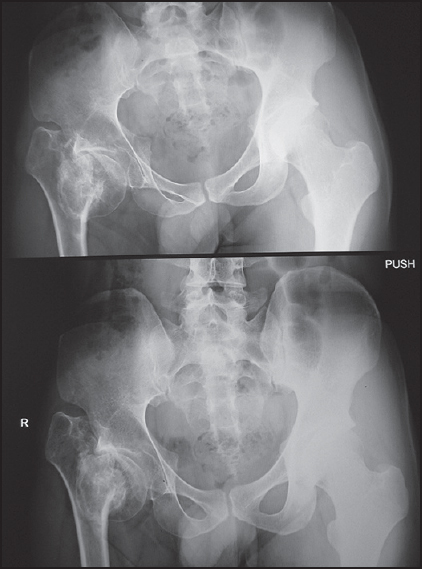 A single case report of a 12-year-old girl with bilateral femoral Salter-Harris type II distal growth plate fractures, who underwent closed reduction, followed by internal fixation with crossed smooth Kirschner wires in our hospital. Report on her 15-month follow-up. Bilateral femoral distal growth plate fractures are extremely rare. To our knowledge, this is the third case described in the literature for the ambulating child, the first studied in detail and also and the first that focuses on the short and medium term recovery.